close. . HD Wallpaper and background images in the Sonic the Hedgehog club tagged: sonic hedgehog sega amy shadow. This Sonic the Hedgehog fan art might contain anime, grappig boek, manga, cartoon, and stripboek. Stop fighting Amy and Sally Fans. We Should be vrienden just like this Picture. And then Shadow smackiths her hard. Very hard. 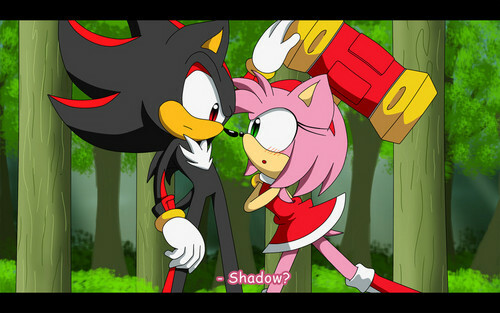 Shadow: "I come back from grocery store and ju tryin' ta KILLZ me?!"